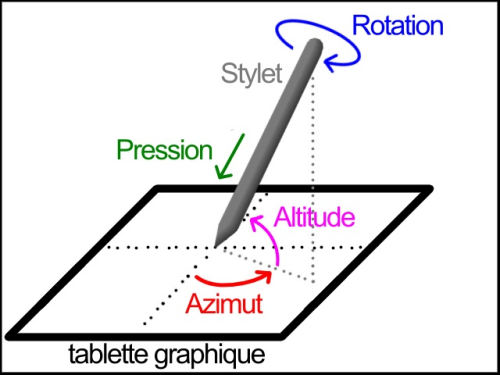 Azimuth FlatPencils - Welcome to TVPaint Community forums ! 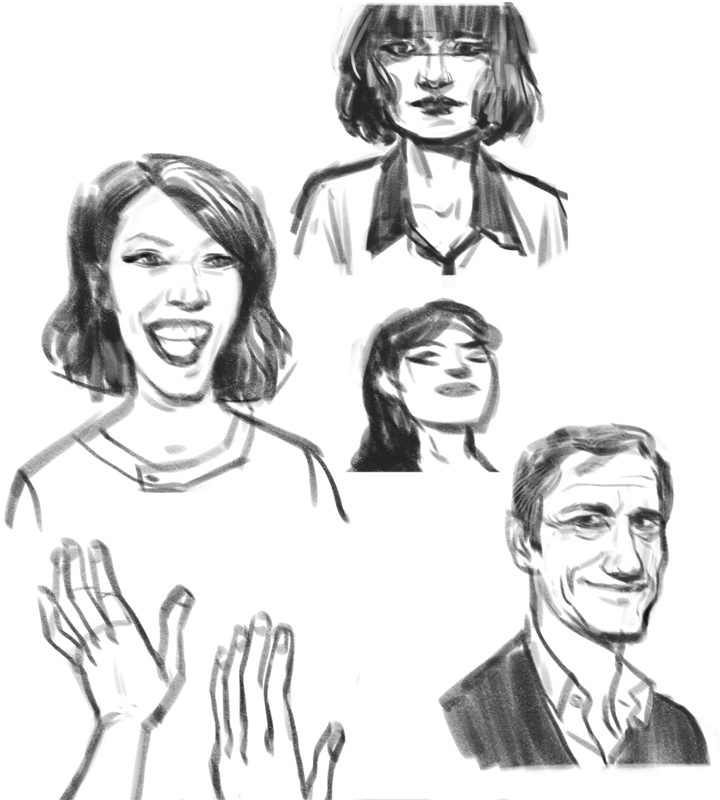 For storyboard sketching I've created two brushes that I quite like. They both respond to stylus pressure but what I like most is that you can also vary the sharpness by rotating the brush. Meaning, they respond to 'Azimuth' like in the image below. I find it can give the lines a more organic/traditional pencil look. 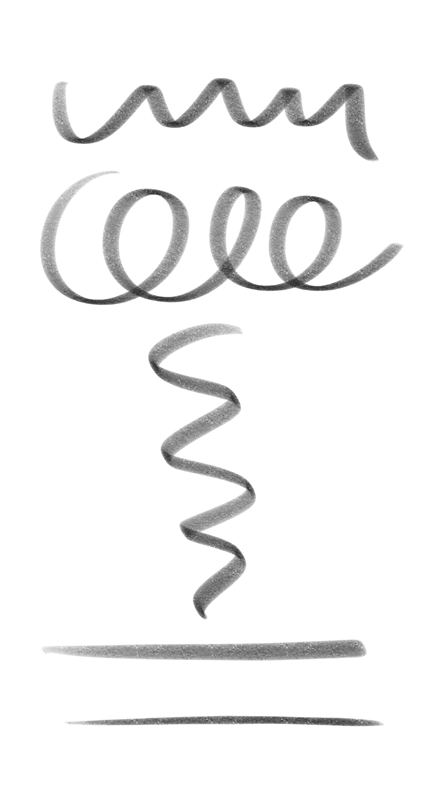 And you can create sharper lines (for details, for example) by just turning the stylus. Feeling almost like one of those graphite sticks. They tend to work best on higher resolutions. The drawings above were done on something like 3840X2160 pix, if I'm not mistaken. On lower resolutions they tend to lose darkness. It's a quirkiness in TVPaint's brush engine that I can't compensate somehow. Last edited by Sewie on 31 May 2016, 08:11, edited 2 times in total. You're excellent drawings "sold" me the brush, even when the last image looks like you're using a directional blur. I guess you need to be careful, how you rotate the brush. There were no blurs used, but the drawings might have lost some sharpness/crispness because I had to pick them up and stamp them a bunch of times. The 'blurring' is more noticeable with grainy lines than with inked ones, I believe. Michael, i took the liberty to make a few thinner versions of your excellent brush. and this couldn't be fixed by increasing the opacity the so i doubled up the original brush a couple of steps for each subsequent smaller tip. Thanks, Peter. It absolutely helps, but I have to say that I find it a huge shortcoming, the way brushes tend to change their character when they are resized. This should be fixed I think, because, as has been mentioned so often before, this just adds to the crazy proliferation of custom buttons (in this case) and custom panels (in general). So many buttons for that same brush in different sizes is just not practical and ought to be unnecessary when we can just use the resize shortcut. Last edited by Sewie on 14 Jun 2016, 10:31, edited 1 time in total. I was trying to find out how to avoid this opacity issue when resizing the brushes, but I really don't get the logic. When I increase the brush in size, the stroke becomes much darker, black almost. When decreasing the brush, the stroke becomes lighter. Isn't that strange, because this specific brush is made up of individual frames with dots, and pixels in variations of opacity with transparent space between the dots? When increasing the brush, I am pulling those pixels over a wider area, increasing the space between. So my intuition say: the line (though thicker/wider) ought to become lighter/grayer. Not darker. The same problem occurs when decreasing the line, pixels are pushed together so I'd expect a much darker line. But no, it gets much lighter. Can someone explain why that is? the pixels of it, when scaled down, become very few and very transparent. try it. reset your tool and stamp it down then resize and stamp down. you'll notice there is relatively less "pixel-power" in the scaled down brush. But i very much agree with you, this is a serious issue of the software. General users are not interested in all the technicalities at this level of brush building. Users expect and should be given predictable /intuitive results. Resizing the size of a custombrush should not influence line character like it does now. So then, the engine appears to cut pixels when scaling down and adds them when scaling up? My intuitive logic applies when I reset the brush, the thinner line becomes darker/blacker whereas the increased line becomes more grayer/transparent. Last edited by Sewie on 14 Jun 2016, 14:53, edited 1 time in total. yes i am always in favor of more custombrush connection settings, though some of the more unintuitive ones could be placed under "a hood". opacity to scale is a good one i'd also like to have color as an connection for a longtime. It can be fixed (even if not really a bug, more a limitation of the current system), but into a new brush engine, not this one. Thanks Fabrice, that'd be very helpful. Hopefully it will allow us to solve this strange quirk. Should we make it an official feature request? Do I understand that a new brush system is (albeit not for the short term) in the works? Sewie wrote: Thanks Fabrice, that'd be very helpful. Sewie wrote: Do I understand that a new brush system is (albeit not for the short term) in the works?